Scuba diving is a great sport that builds self confidence among individuals, greatly improves physical fitness, creates environmental respect and awareness, and shows how to make positive contributions to the ecosystem. If you want to learn how to scuba dive, you will need to complete a scuba diving training course and receive certification. There is a wide range of training course available for beginners and advanced scuba divers today such as Padi E-Learning, PADI open water diving course, Advanced Open Water diving course, etc. 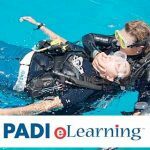 One of the best things about the PADI E-Learning review course is that it has the most comprehensive educational system that allows the students to work on individualized instruction, and also allow them to learn at their own pace and time. This type of course is really good for someone who plans to go diving for the first time on a vacation but who doesn’t have the time to attend actual training beforehand. Some of the things you will learn from this e-learning class include: the recommended scuba equipments, how to use your scuba gears, and the safety precautions. You can take the course at your most convenient time, and then pass your PADI E-Learning answers after answering the quizzes meant to test your knowledge underwater, and then move onto the actual water-portion of your learning at an approved resort or diving center with a skilled trainer. 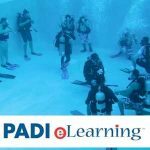 You may check for the Padi E-Learning cost at their website and subscribe for their updates to know the latest trends in scuba diving and for any possible PADI E-Learning discount. This course is meant for beginners. This training will introduce you to all of the basics of scuba diving. It will give you the knowledge about the techniques, methods, and principles that are necessary to navigate underwater. You will also learn how to use several diving equipments and learn the safety procedures. This course is for those who want to further their knowledge and skills about scuba diving. It covers underwater navigation diving and also deep diving. You will also learn other exciting diving activities like night diving and exploring undersea wreckage. If you do not wish to work as a professional scuba diving instructor and simply wish to advance your personal development and dive skills then the Master Scuba Diver course is your best option. 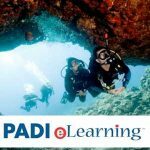 This course teaches more advanced diving techniques like enriched air-diving that lets you stay underwater longer, learning how to dive in dry suits, or explore caverns while diving, and many more. 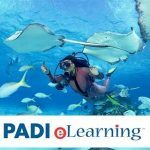 All of the courses mentioned have PADI E-learning options. There are many options available for you once you take the first plunge and earn your initial certification. So if you have plans of learning this amazing sport, start now!